Intelligence officials were asked to look into his background because of government fears the British Communist Party would exploit his popularity if he was allowed to settle in the UK. But a senior MI5 officer rejected calls for the Home Office to take a tough line on Larry's immigration status, noting that he had never done anything to arouse suspicion during 15 years of visits to Britain. US-born Larry, who moved to the UK after he was branded a communist and blacklisted in his native country, recorded songs with Kate Bush, Cher, Elvis Costello and Catatonia's Cerys Matthews during a long and varied career. In 1950 he brought a 200,000-dollar libel suit against a woman in Connecticut who accused him of communist leanings but the jury was hung and the case was dismissed. In November the following year the US embassy in London asked MI5 if Adler had come to "adverse notice" during his time in Britain, papers made public by The National Archives show. A British intelligence officer wrote back to say the harmonica player had not come to their attention but he would keep the Americans informed if he did. 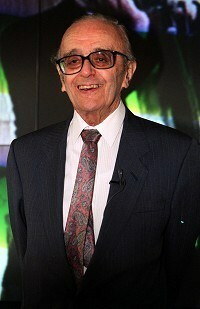 Adler went on to compose music for films, write books and regularly appeared on British TV chat shows like Wogan and Parkinson. He died in London in August 2001, aged 87.